Looking for a holiday gift option? Consider beautiful rights and their mission to give back to women’s causes. Beauty products that give back? Sign us up! 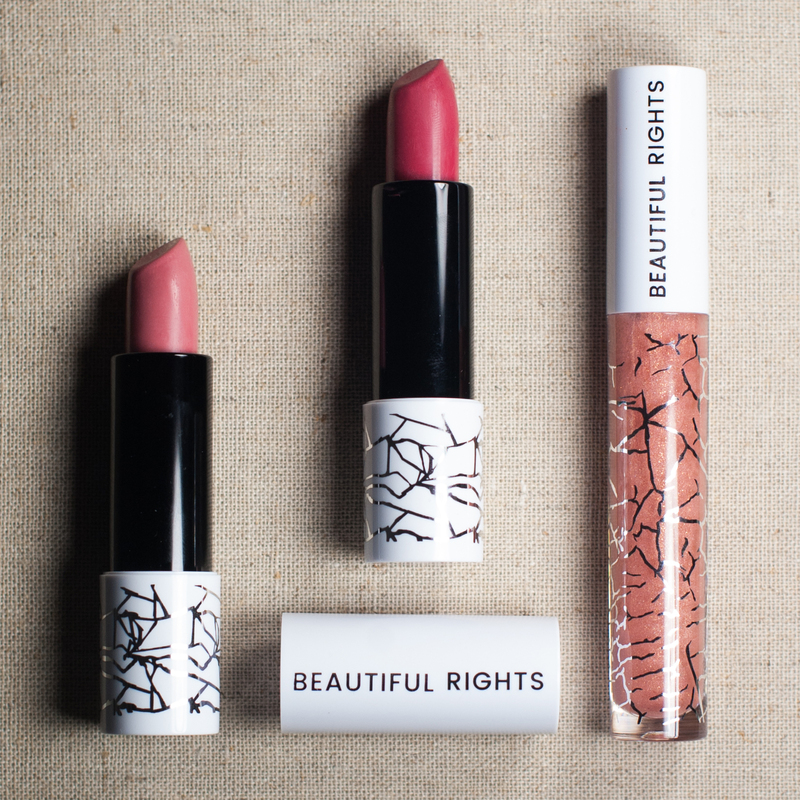 A new cause-driven makeup initiative, Beautiful Rights (love that name! ), was started by renowned makeup artist and product developer, Kristen Therese Leonard, to ensure that women’s rights continue to be given their share of voice in our country’s future. This is certainly prevalent as we enter into 2017 with real concerns regarding women’s rights are upon us. Beautiful Rights was created to remind every woman to speak up, and that the responsibility lies within each of us to protect the rights we’ve fought so hard to acquire. Through this initiative, Beautiful Rights will promote women’s rights by donating 20% of all sales (not profits) to organizations that support various causes, such as Planned Parenthood, the ACLU, Emily’s List, Lambda Legal and Legal Momentum. The 20% contribution is set as a reminder of the fact that women in the U.S. still get paid 20% less than men for doing the same work. Not only will Beautiful Rights fuel great initiatives, the company also provides high quality, luxury beauty products. Their formulas have been developed with the highest grade, exclusive blend of natural oils, such as Coconut, Avocado, Jojoba, Grapeseed and Olive — along with other lip-loving ingredients — to deliver added benefits and a luxurious experience with each swipe of lipstick or gloss. Beautiful Rights products are available for pre-order for $24 each, or as a bundle for $64. The products will be available to ship on December 19th, the day the electoral college votes of course. For more info, please visit: www.BeautifulRights.com.